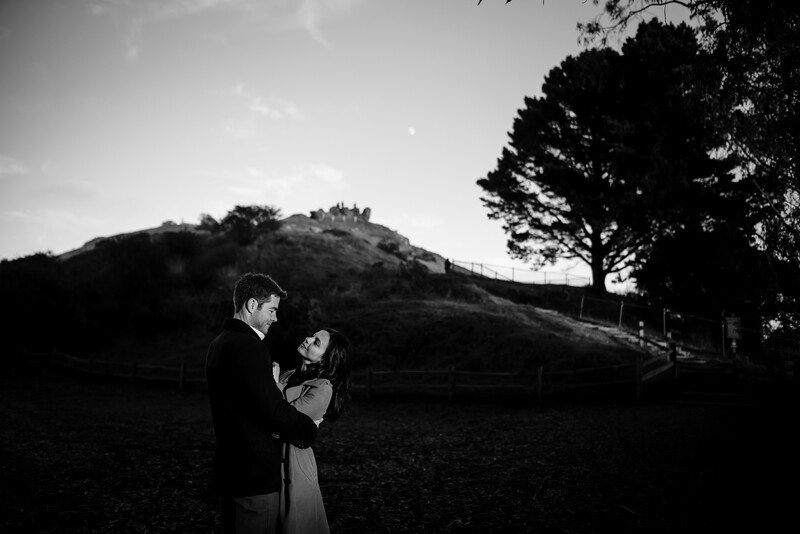 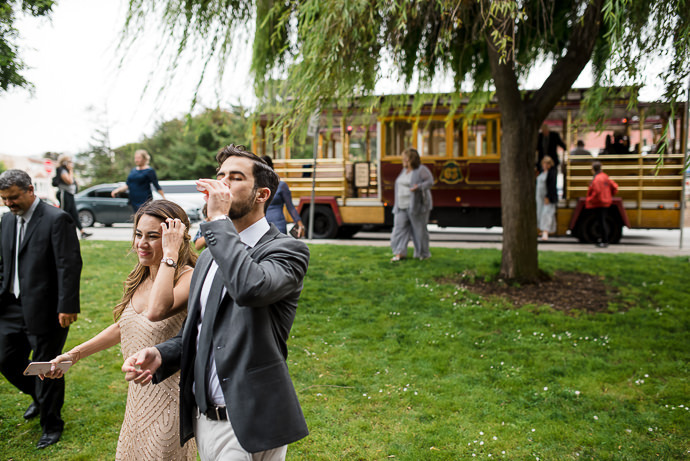 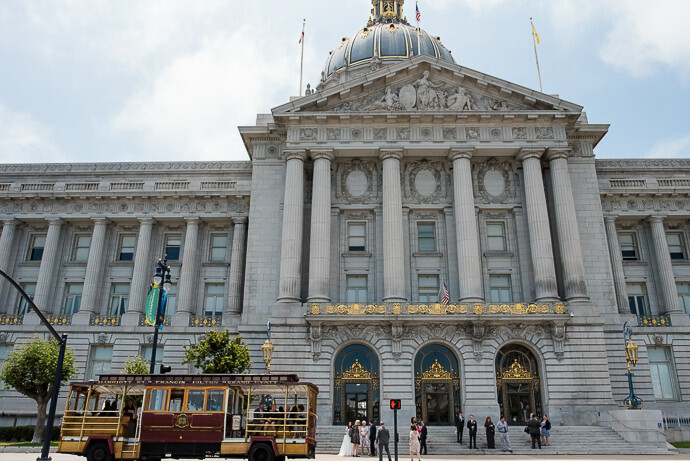 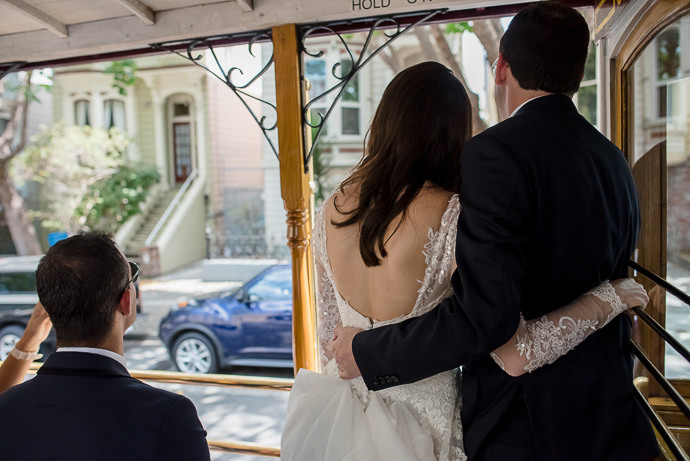 When Amber and Josh told me about their San Francisco City Hall destination wedding, which would include a two-hour trolley tour around San Francisco and across the Golden Gate Bridge, I thought it sounded like a pretty great day! 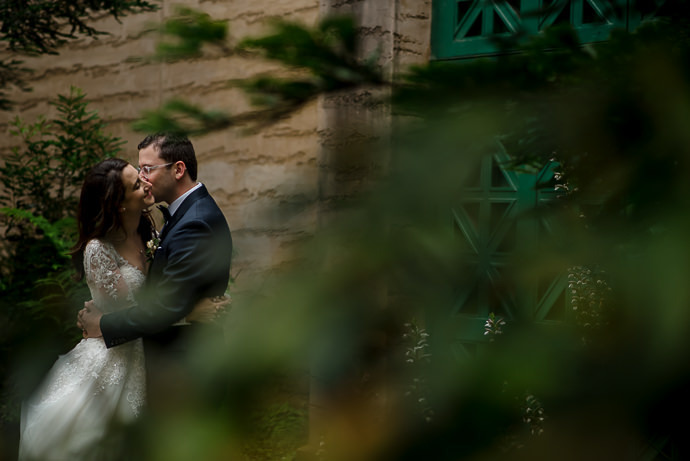 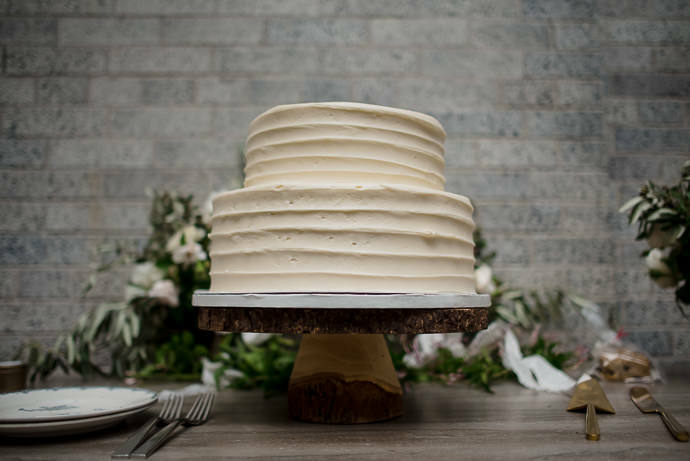 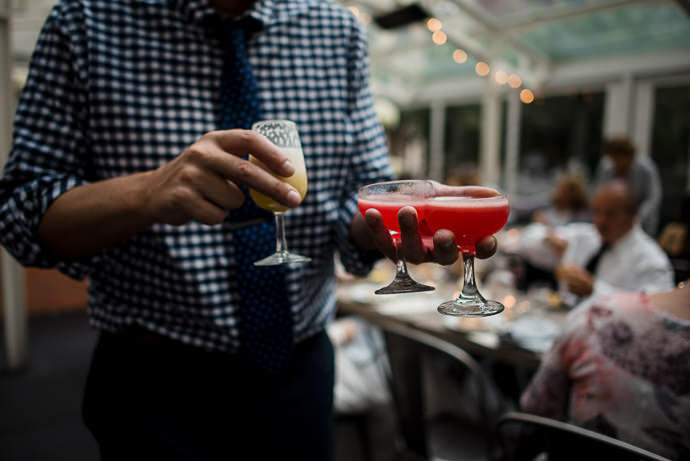 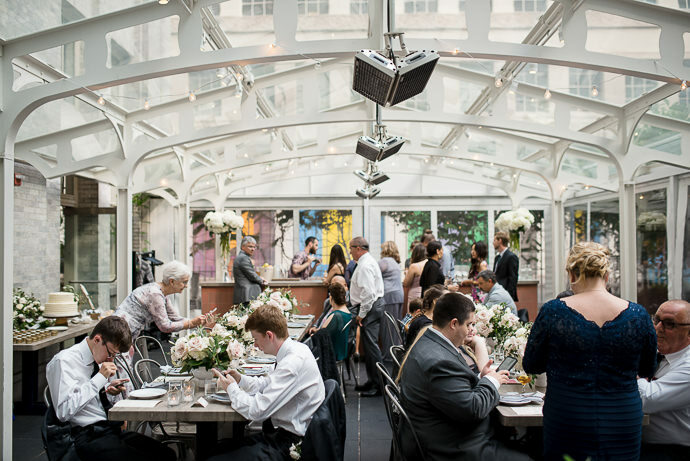 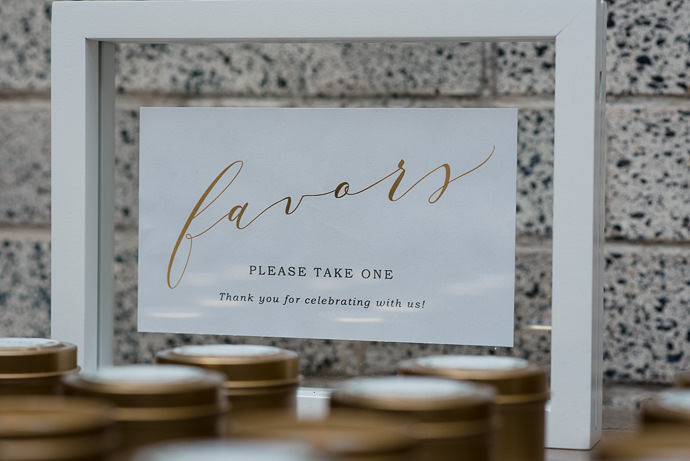 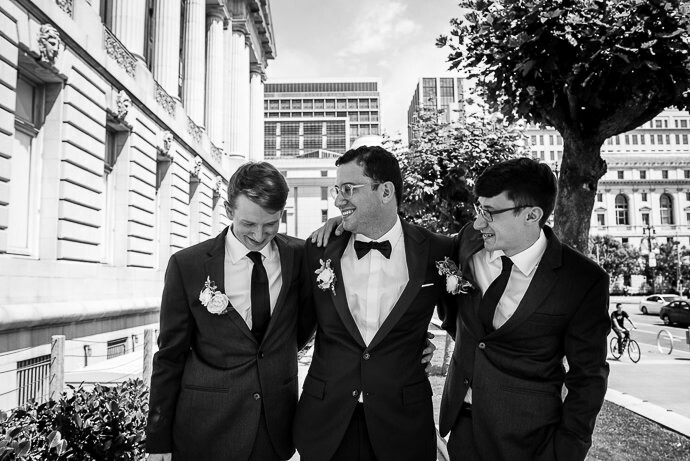 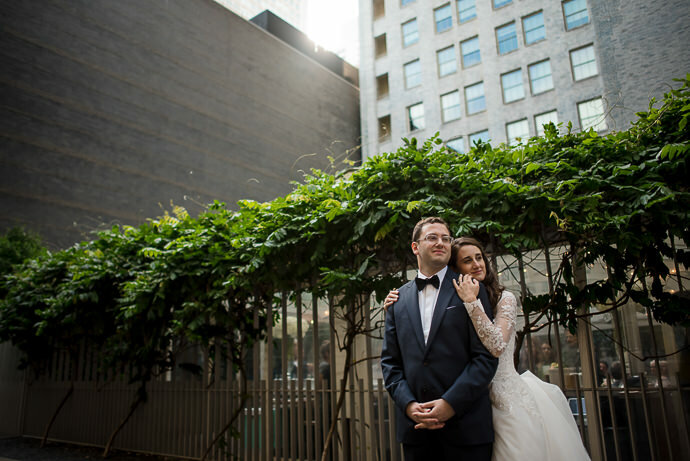 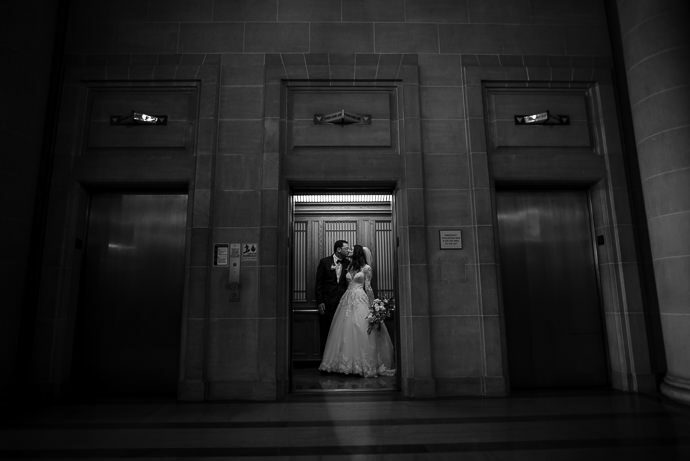 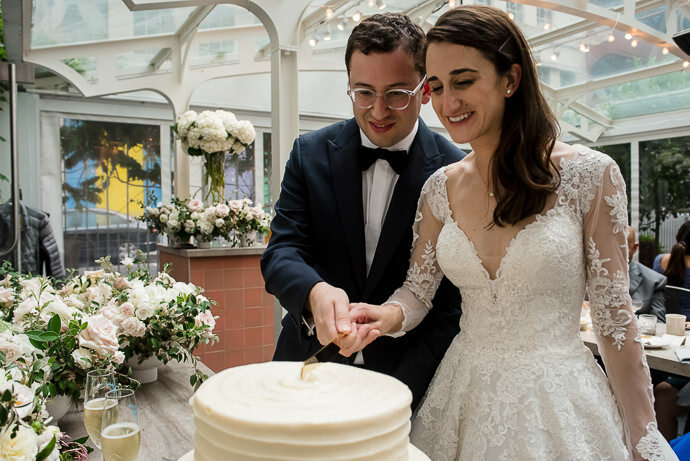 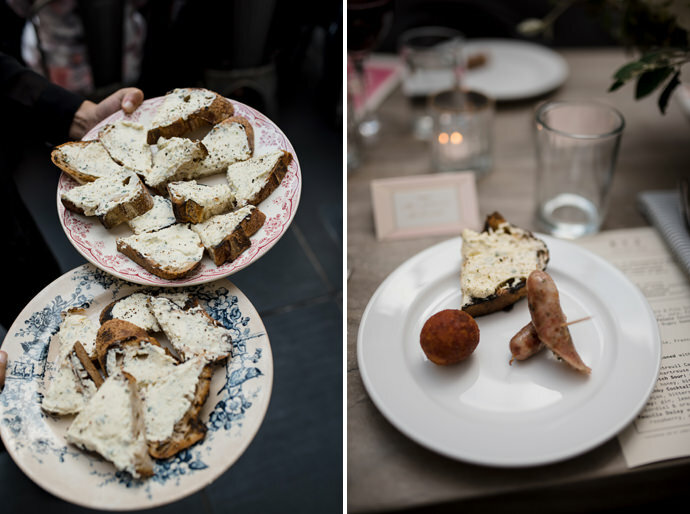 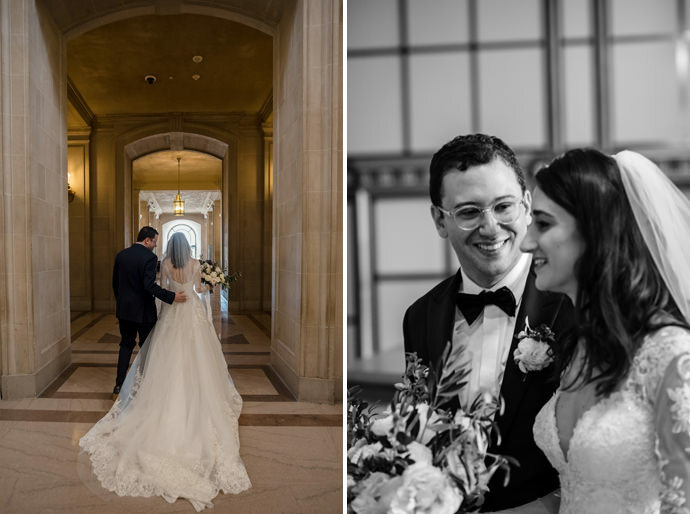 They wanted their wedding to incorporate all their favorite things: architecture, food, and the city where they took their first trip together and learned how much they loved being with each other. 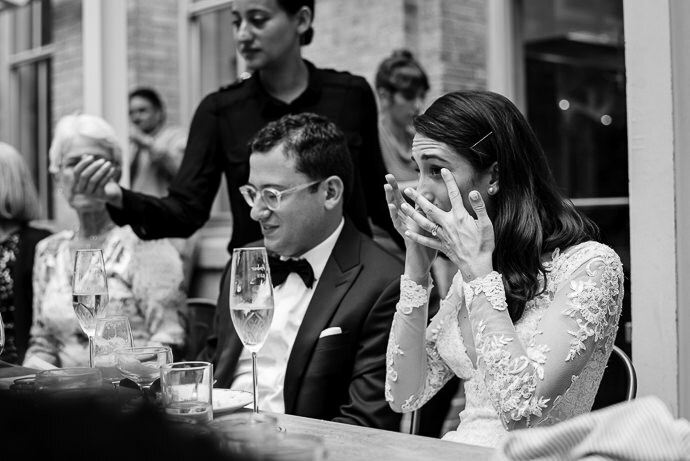 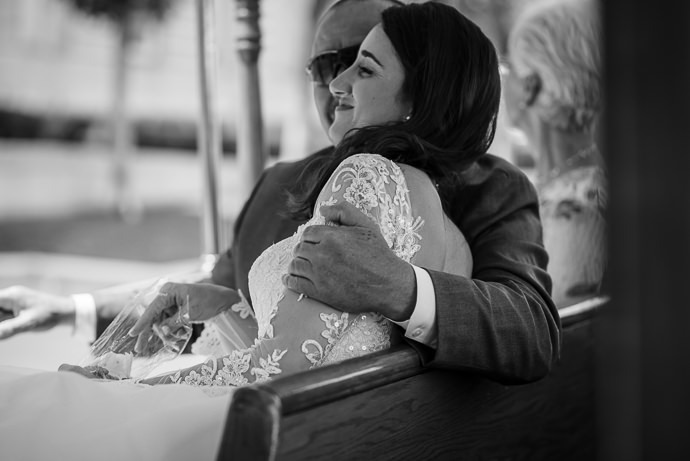 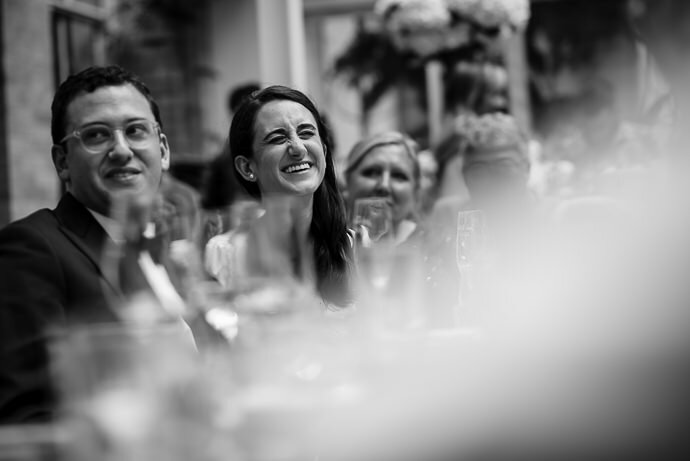 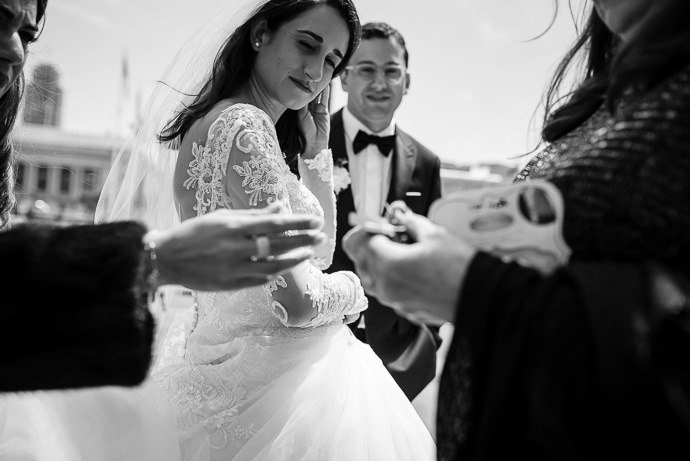 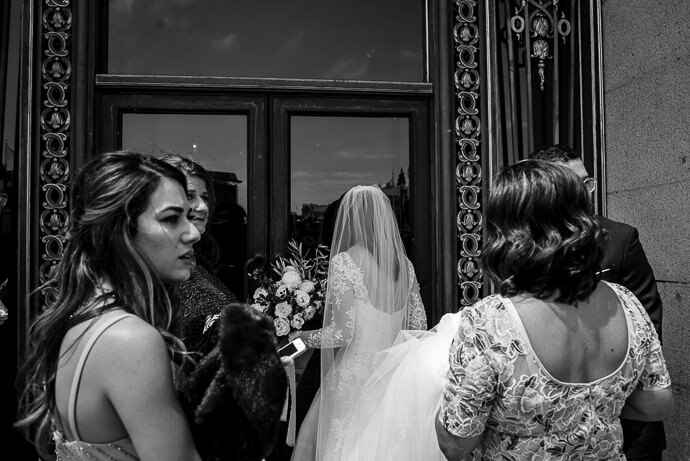 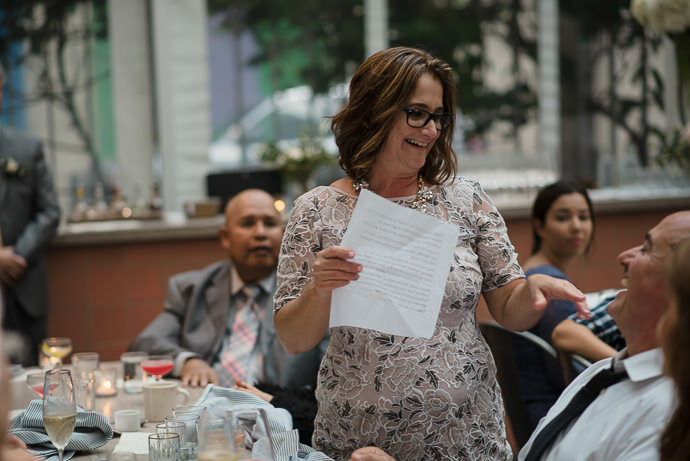 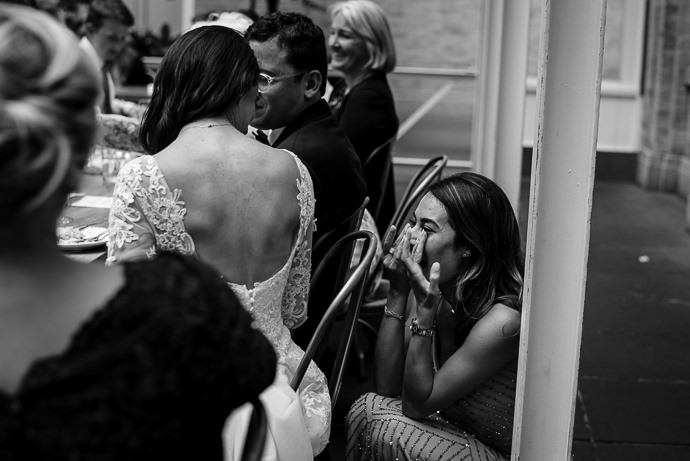 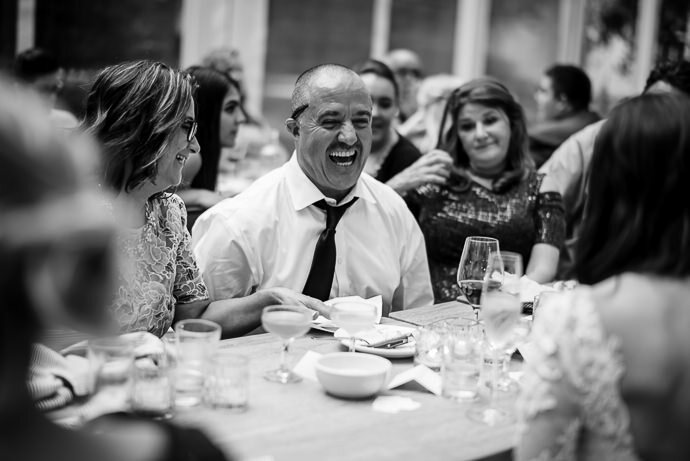 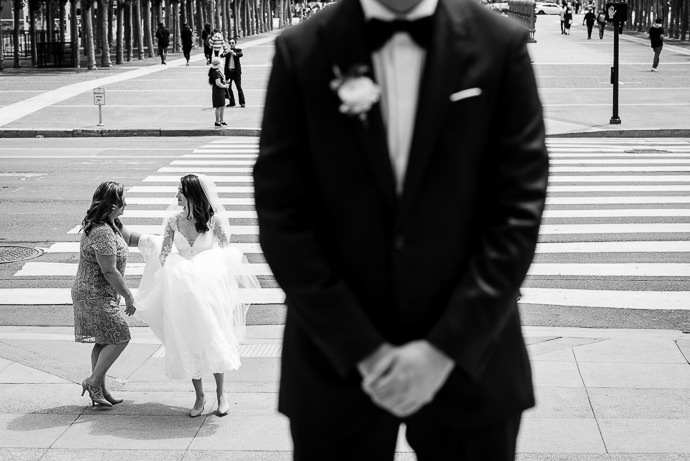 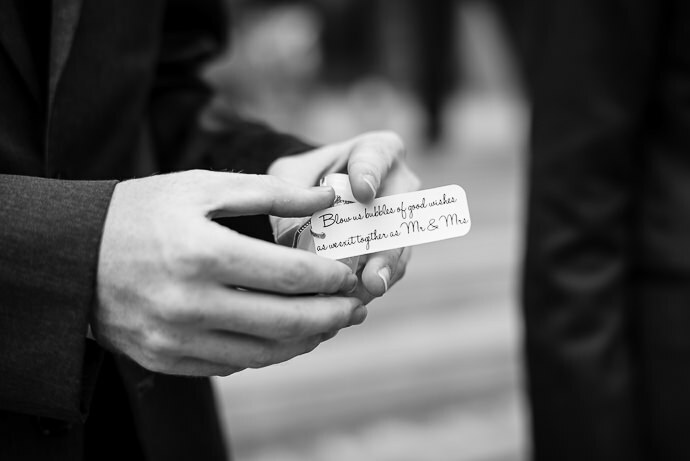 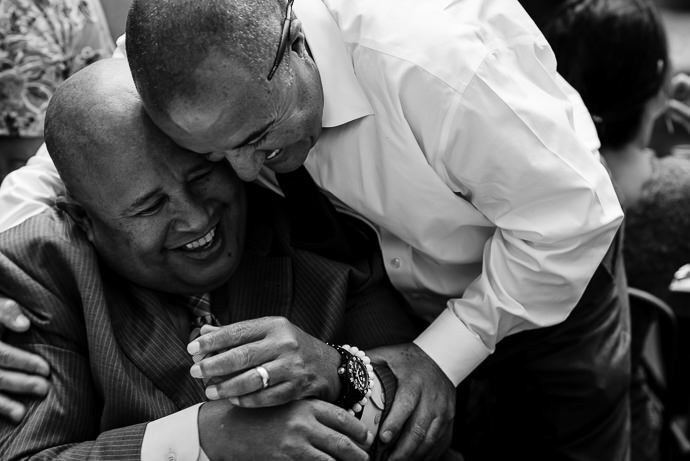 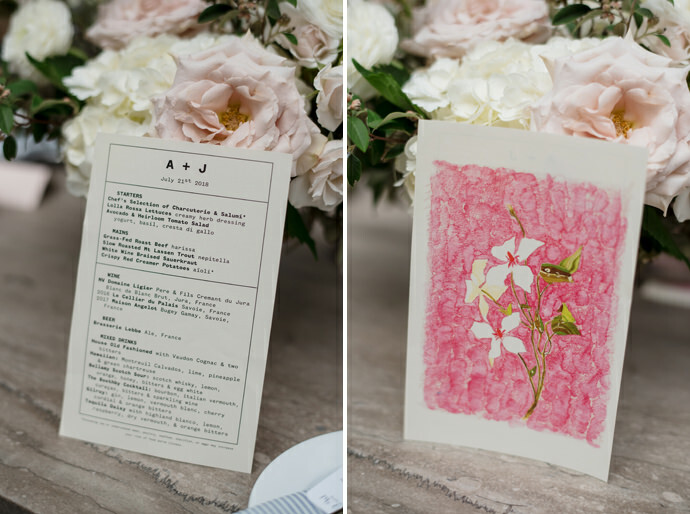 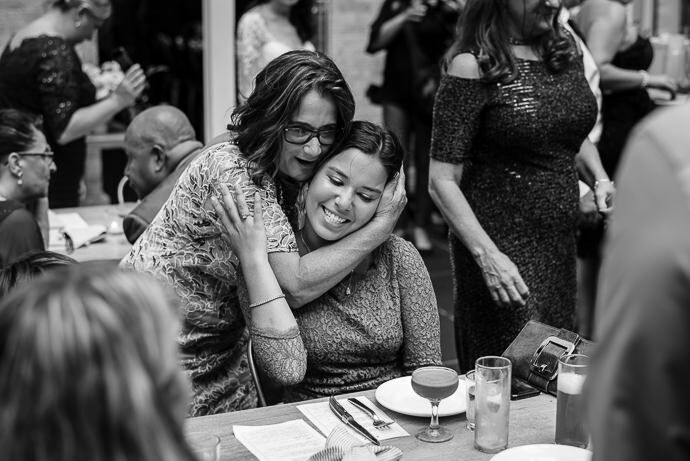 On their wedding day, they invited a handful of their friends and family members to celebrate. 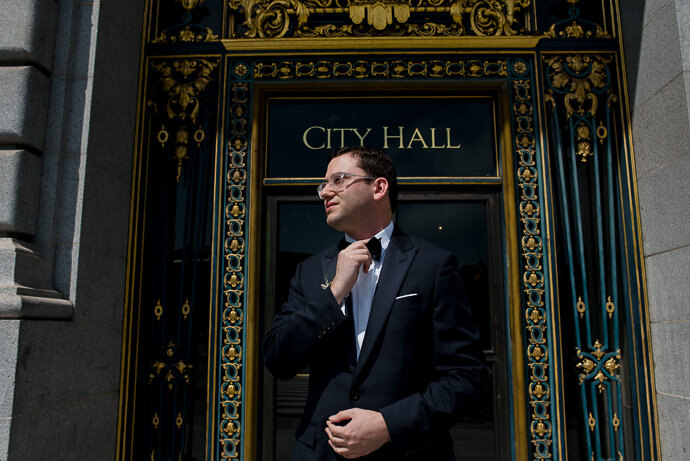 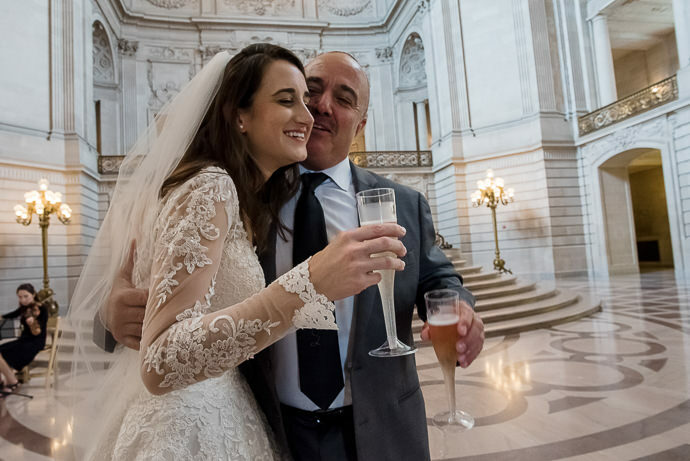 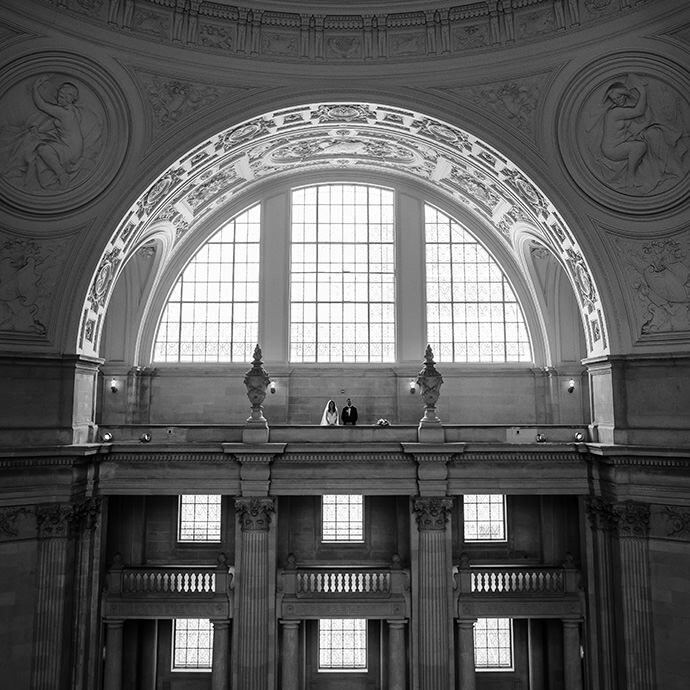 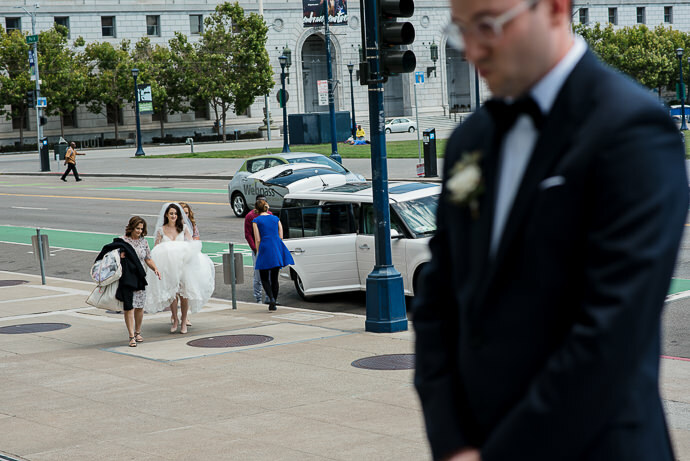 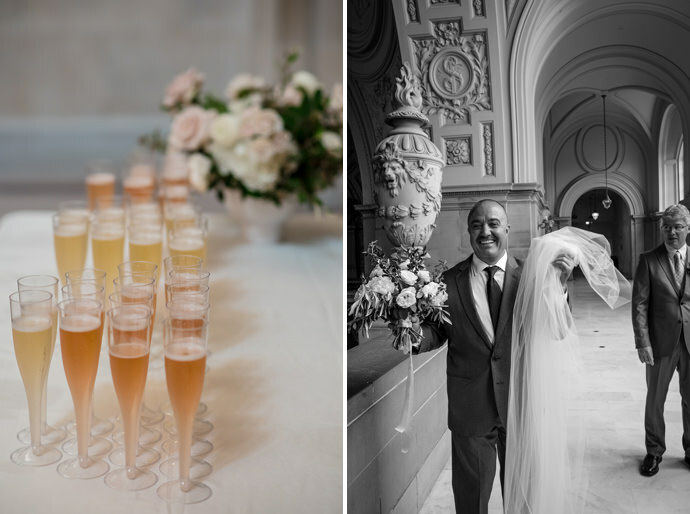 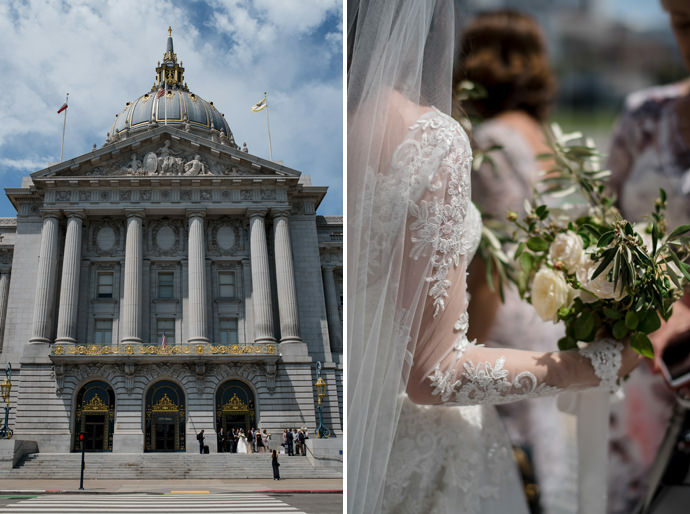 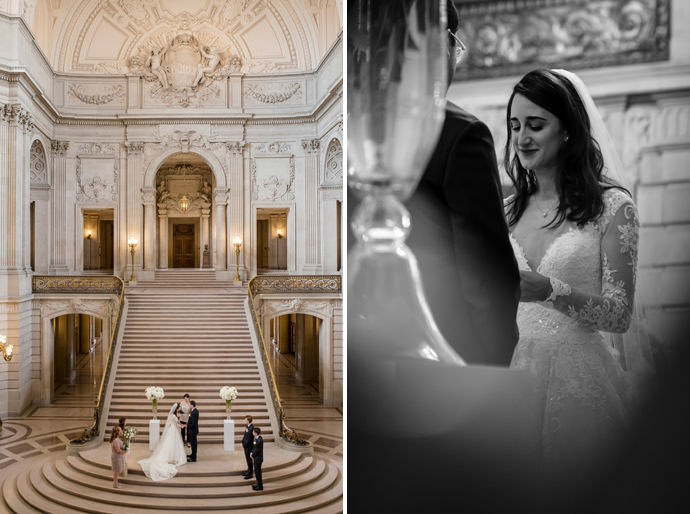 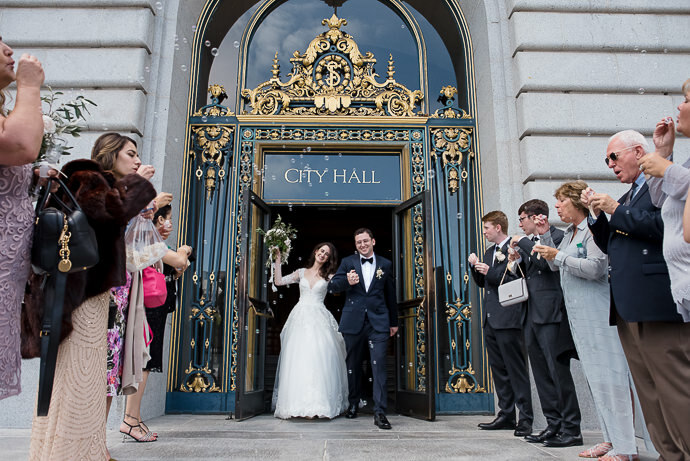 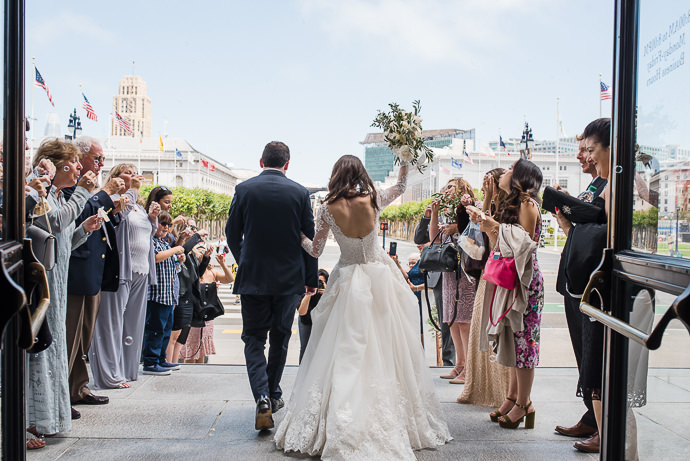 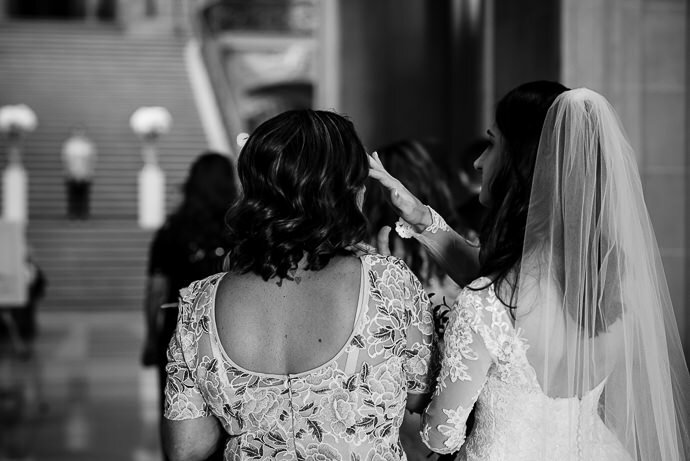 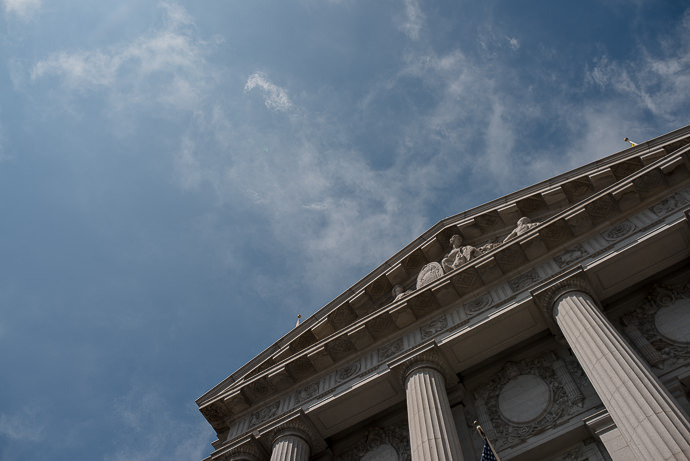 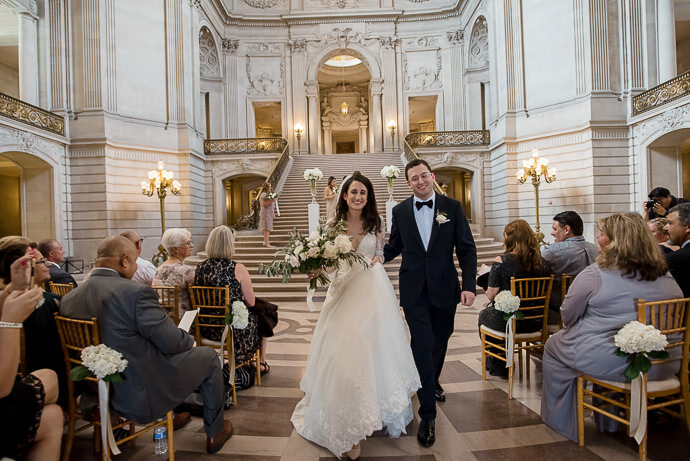 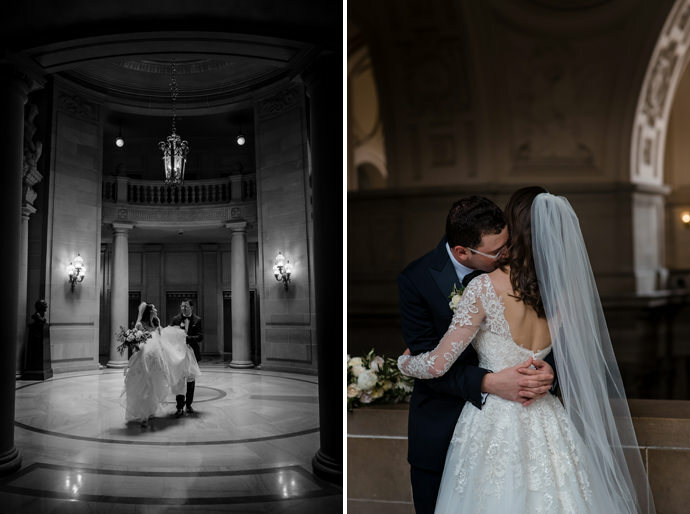 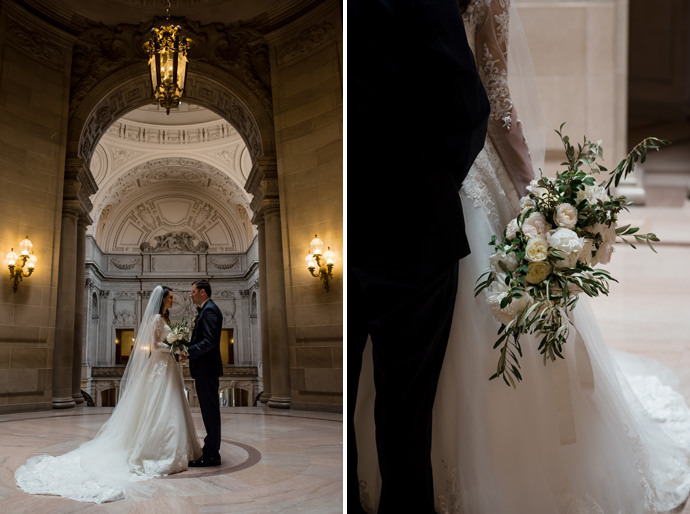 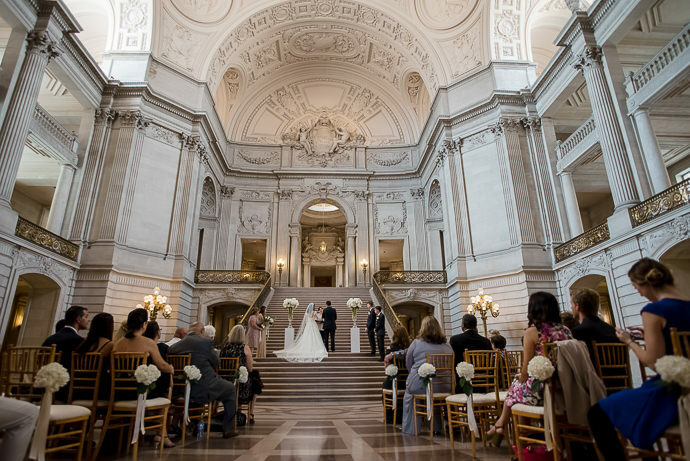 First, a sweet ceremony at San Francisco City Hall, where we had the entire rotunda to ourselves (a photographer’s dream!). 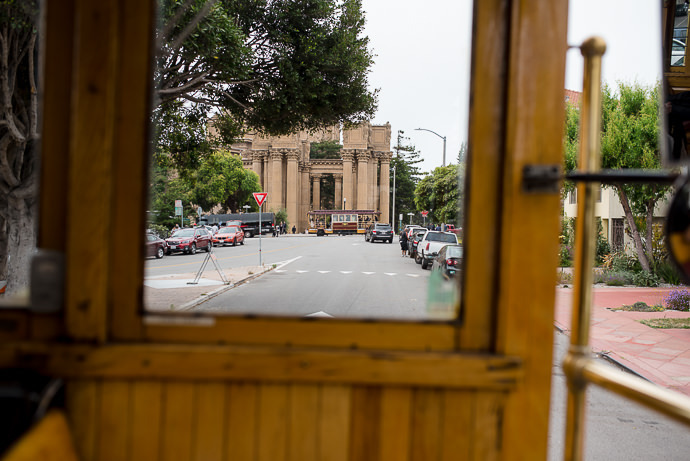 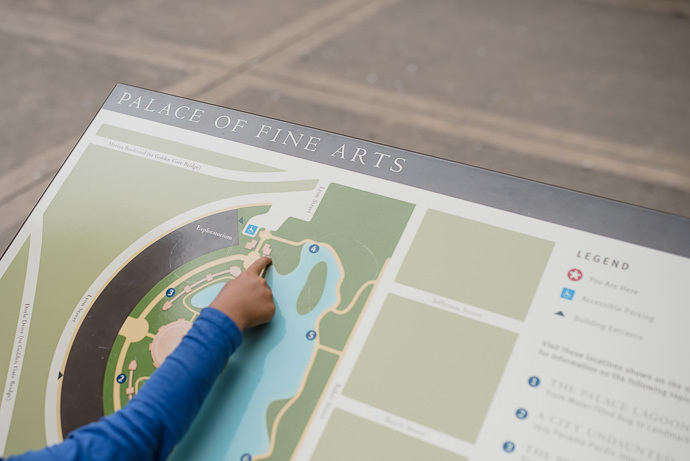 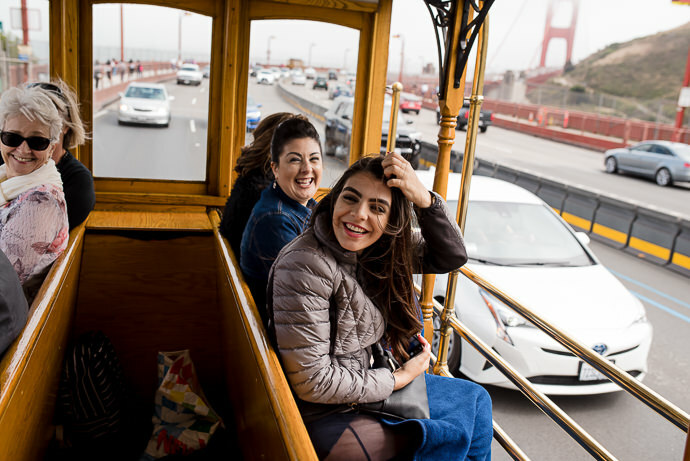 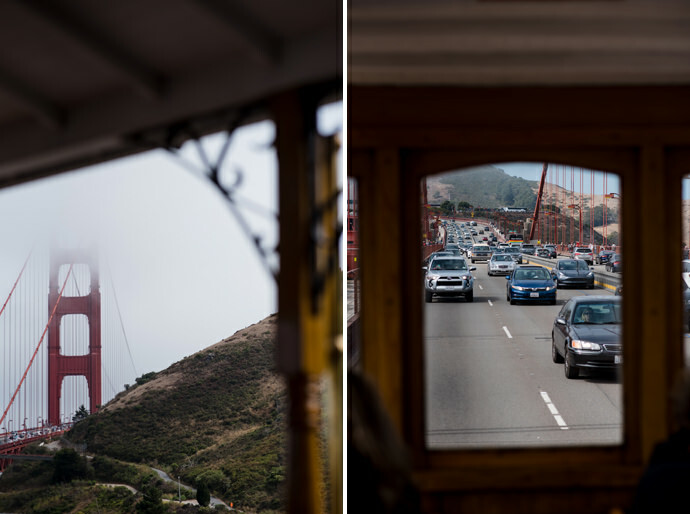 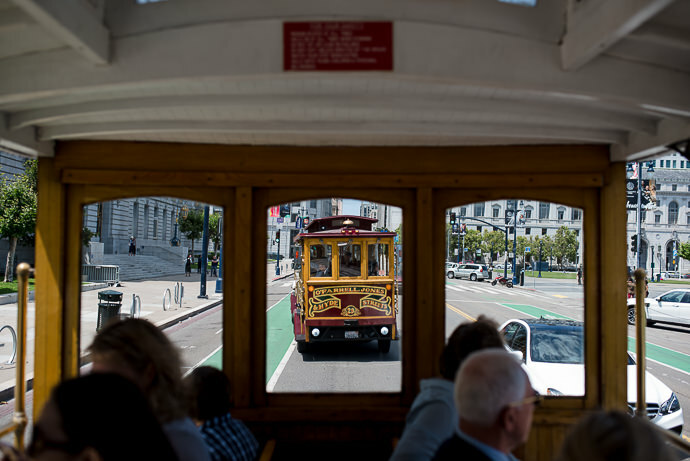 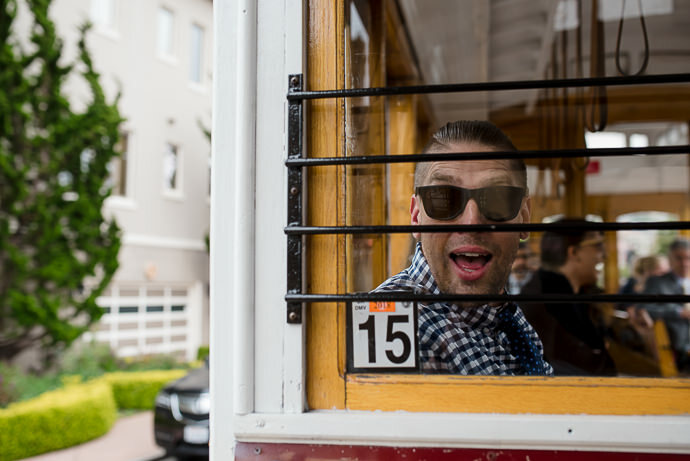 After the ceremony, we all hopped on the trolley, with music pumping through the streets as we hit all the finest highlights of the city, like the Palace of Fine Arts and the Golden Gate Bridge. 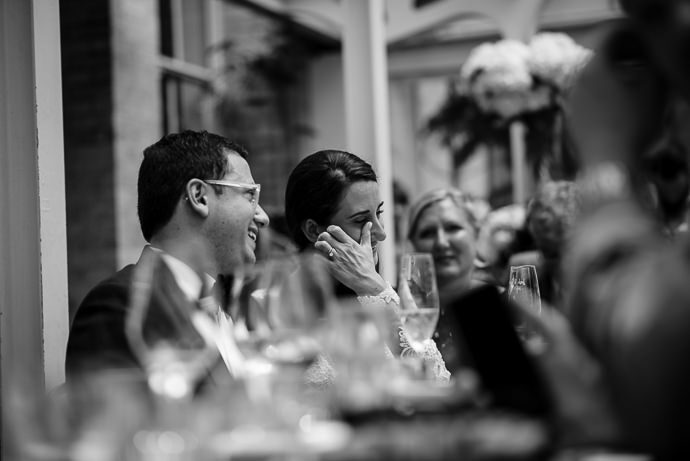 The final stop was dinner at Trou Normand. 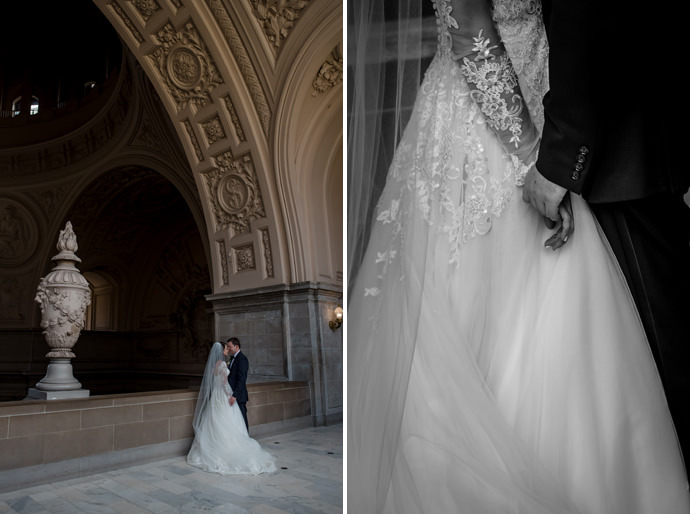 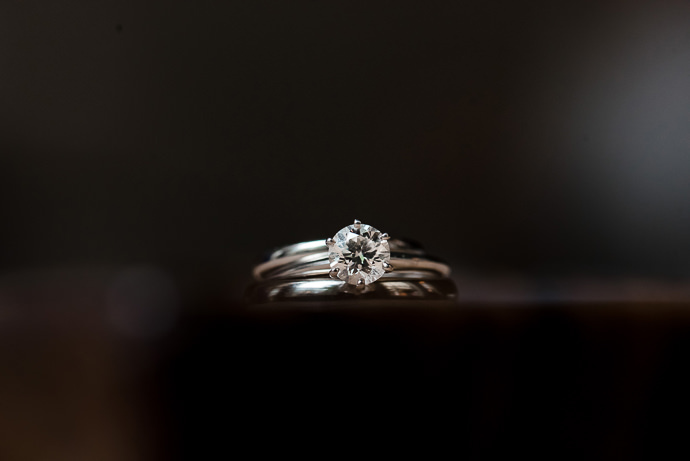 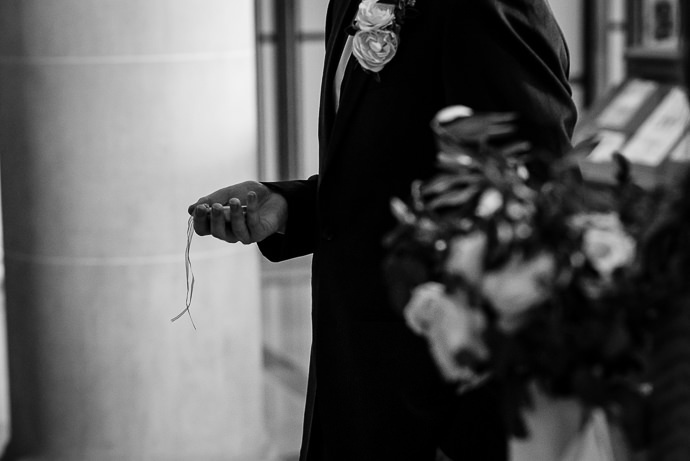 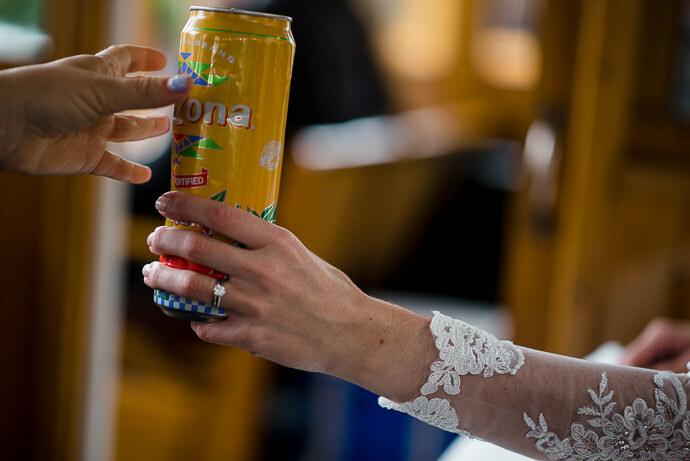 I had the best time photographing this couple’s special day. 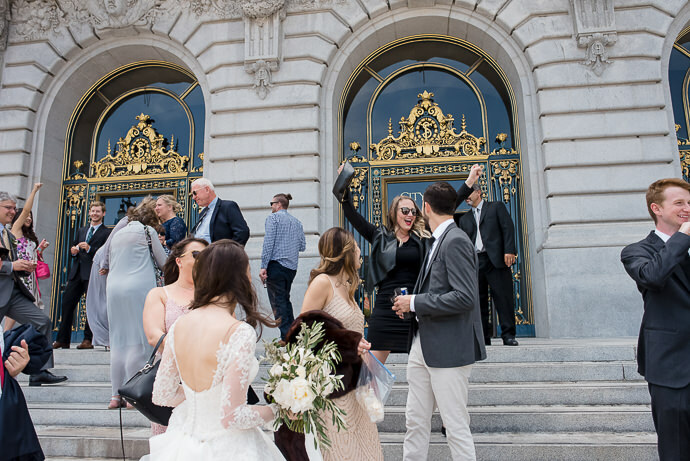 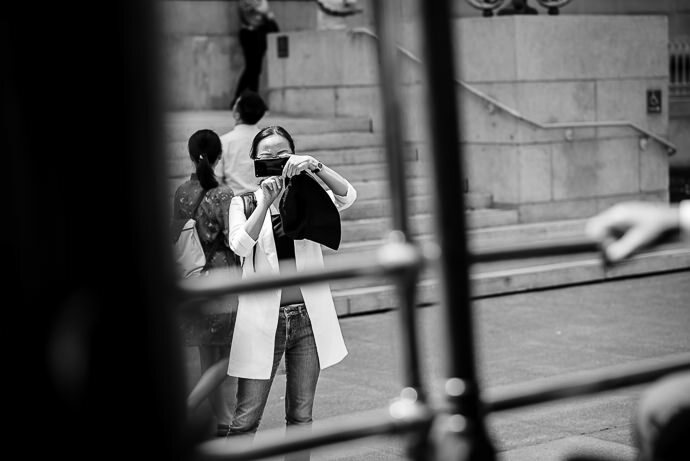 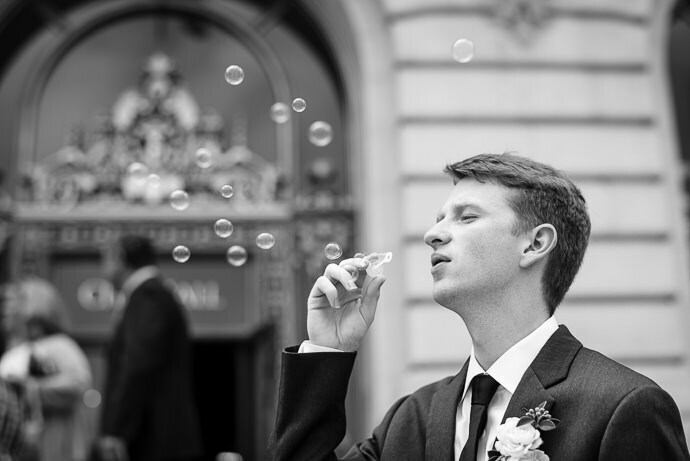 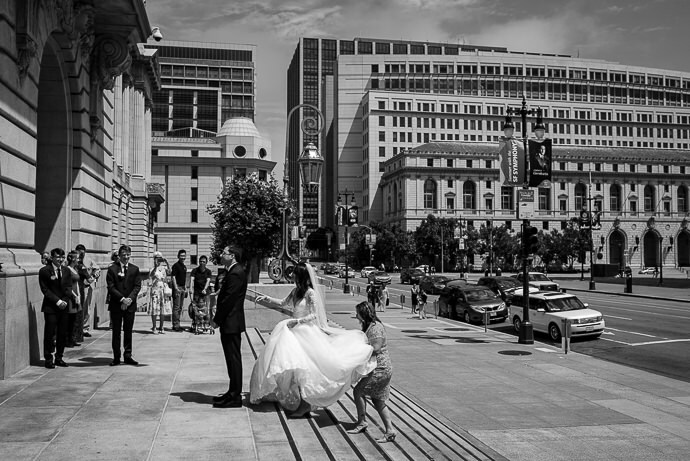 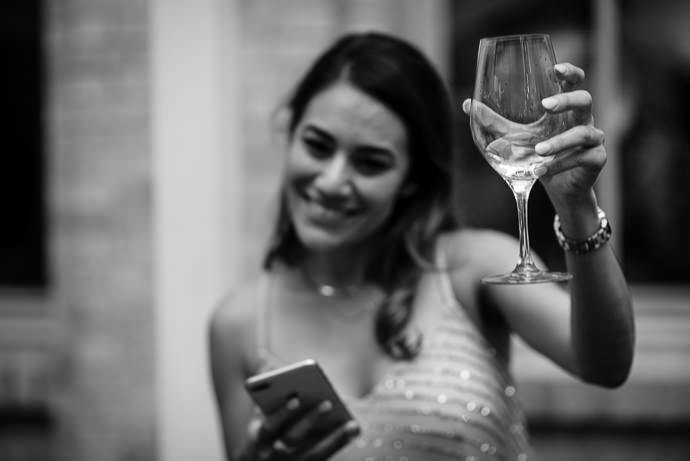 No matter how big or small the wedding, it’s always such a joy capturing a celebration in the city that I love!